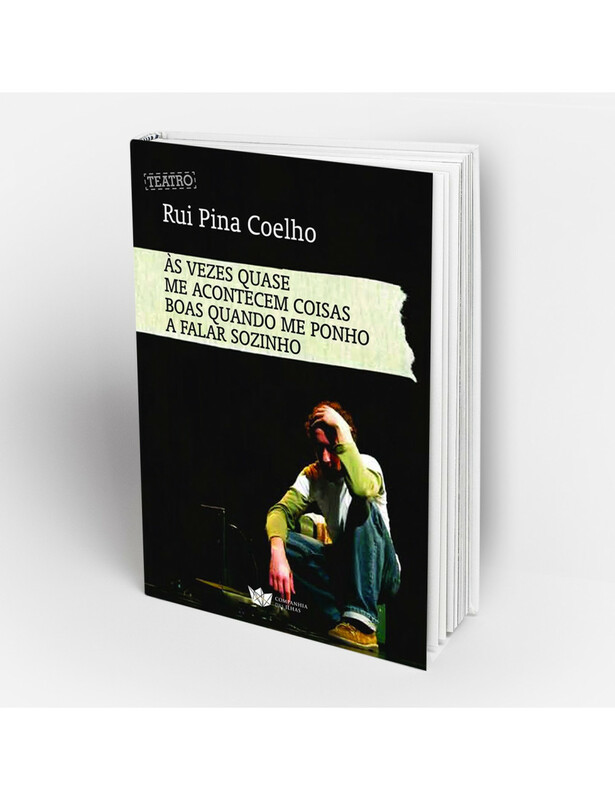 "Às vezes Quase me Acontecem Coisas Estranhas Quando me Ponho a Falar Sozinho"
Home > BOOKS>"Às vezes quase me acontecem coisas estranhas quando me ponho a falar sozinho"
Às vezes quase me acontecem coisas estranhas quando me ponho a falar sozinho is a monologue to a storyteller. A man standing alone in the desert trying to tell a story but it escapes him. Can this be a story? : one man, standing in the middle of a journey, tells a story. And sometimes, when he does, almost good things happen to him. Sometimes almost good things happen to him when he starts talking to himself. Theatre critic, playwright, author and translator . Teaches in the School of Theatre and Film and collaborates as a researcher with the Centre for Theatre Studies of the Faculty of Arts of Lisbon and the CIAC - Centre for Research in Arts and Communication. He is a member of the Council of the Sinais de Cena Magazine and the Directorate of the Portuguese Association of Theatre Critics. Published Casa da Comédia – Um palco para uma ideia de teatro (Imprensa Nacional/ Casa da Moeda, 2009). Is the author of Nina (Trimagisto/Palco Oriental, 2004), Júlia Borboleta e o Pau-brasil (SOIR, 2006), Às vezes quase me acontecem coisas boas quando me ponho a falar sozinho (Trimagisto, 2009-10), O velho sedentário e o jovem aventureiro (Teatro o Bando, 2010), Beggining (Teatro o bando/Emergency Exits Arts/Oulu City Theatre, 2011), Já passaram quantos anos, perguntou ele (TEP, 2011) and Um espectáculo para os meus compatriotas (Negócio ZDB, 2012). Translated (with Ana Raquel Fernandes) A morte de um caixeiro viajante and Do alto da ponte, by Arthur Miller, and Vitória, by Athol Fugard.